In the wake of high-profile data breaches at Yahoo, Equifax and Facebook and as more and more consumer products are internet-connected, protecting privacy is of paramount concern. The U.S. Department of Veterans Affairs (VA) had its own privacy watershed moment more than a decade ago, following the theft of an employee’s laptop containing the personal information of over 26 million Veterans. The incident transformed the way VA handles information. VA Privacy Service is now charged with the vital responsibility of safeguarding Veterans’ and employees’ personally identifiable information across a department that employs more than 300,000 people and serves more than 9 million Veterans. VA Privacy Service must provide advice, communications, education, recommendations and training on privacy-related matters to core staff, 400 privacy officers, Veterans and their families, and stakeholders such as industry partners and Veterans service organizations. The desired result is for VA Privacy Service to become one of the most authoritative sources of privacy information and privacy best practices at VA, elsewhere in government and in the private sector. Research-based communications. Aptive engaged in research to develop outreach and communications plans to define core audiences and the best ways to reach them. 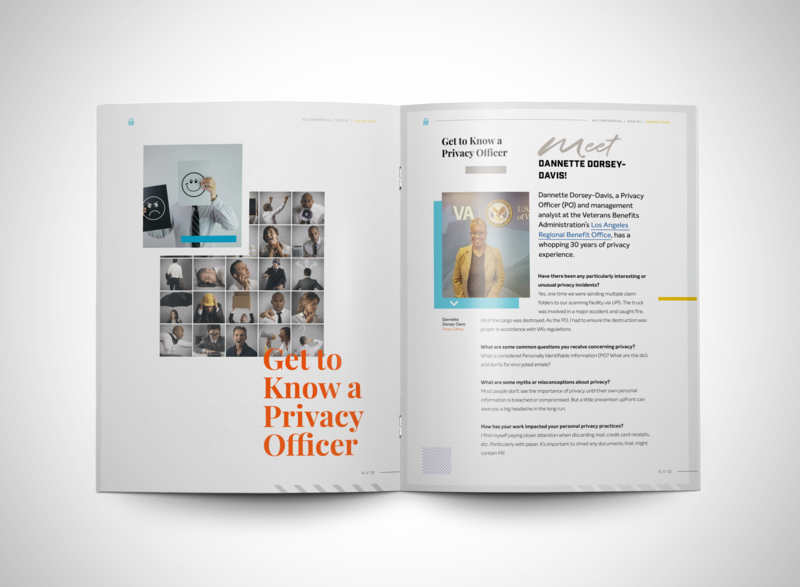 Central to this effort was modernizing branding for the service’s two signature campaigns — Privacy Builds Trust and Privacy Matters — aimed at internal and external audiences. 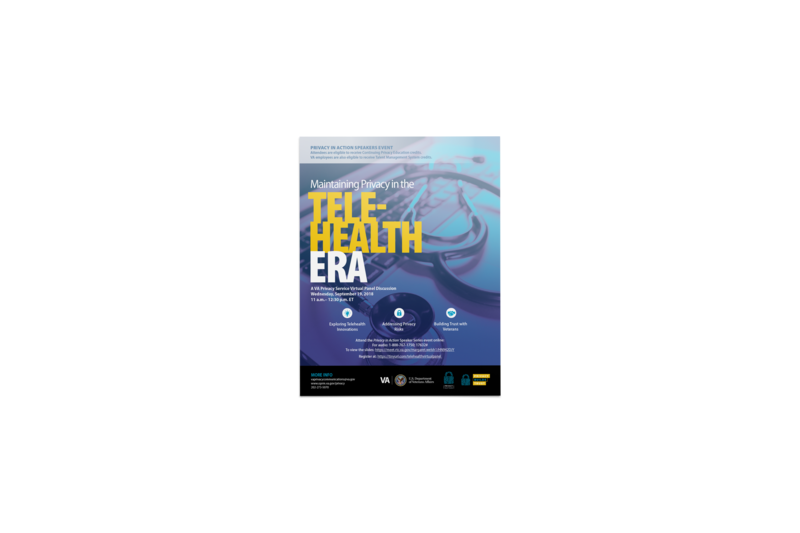 We use these logos and associated messaging in all communications and marketing materials including blogs, briefings, e-cards, fact sheets, fliers, monthly newsletters, posters, privacy packets and social media posts. 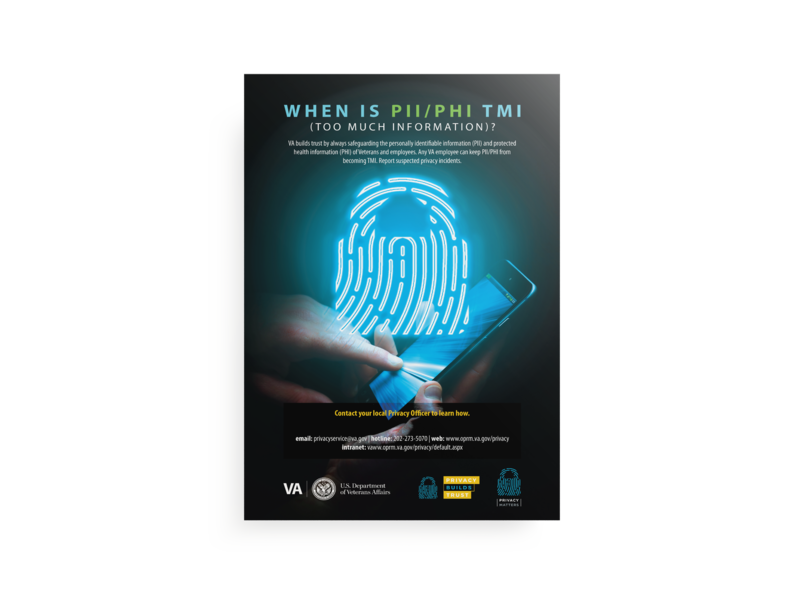 These 508-compliant materials deliver tools and bring greater visibility to VA Privacy Service among staff, VA employees, and Veterans and their families. Event management. Aptive also manages a quarterly Privacy in Action Speaker Series, which convenes leaders in the field of privacy who share their expertise with the greater privacy community within and outside of VA. We research and recruit experts in the field, communicate and market the event, coordinate audiovisual services, schedule and manage studio time, oversee event-day logistics and tables featuring promotional items, and create and distribute post-event surveys. We follow up to capture lessons learn and refine tactics. Partnership outreach. Additional partnership outreach involves seeking allies in the Veteran and privacy community who can all communicate about VA’s privacy efforts. We work closely with the VA Privacy director in researching speaking opportunities and preparing her for outreach efforts with Veterans service organizations. Ongoing assessment. We assess these and other communications activities through regular focus groups that guide communications and marketing initiatives and ensure that messaging and recommendations are clear, useful and relevant. More trust – We are succeeding in creating a culture of privacy awareness at VA. Surveys show a steady increase in the percentage of Veterans who trust VA, from 47 percent who trusted VA in January 2016 to 70 percent who said they trusted VA in October 2017. More people attending events – Event attendance and interest is growing from event to event. A July 2018 event was attended by 300 people, up from 100 attendees at a similar event the same year. Demand for future privacy-related events is high.